One of the many reasons why so many people have abandoned their lives in the big cities of Arizona and moved to the suburbs was the excessive high levels of noise. High decibel levels are not healthy for the human ears and truth be told cars, great circulation of people and noise coming from stores, restaurants, mouths, streets and all over drive some people out of town literally. Don't forget that all devices and appliances we keep at home are very noisy, too. Of course, our electric garage door openers are not the exception to the rule. The difference of noise in family houses, which are set in the beautiful and quiet neighborhoods of the suburbs, is that it sounds even louder. So, you must take control of the situation and see if you can stand the noise of the opener, especially if your main house and the bedroom are right above the garage. Where is this noise coming from? 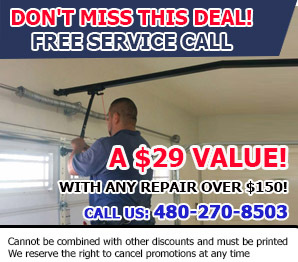 * One of the most usual reasons is some garage door parts, which have rusted and got distorted. When the old garage door rollers try to roll on the old tracks, you will hear an annoying high pitch noise. You will only have to lubricate these parts and all mechanical parts because the right lubricant will allow them to slide without making a sound. 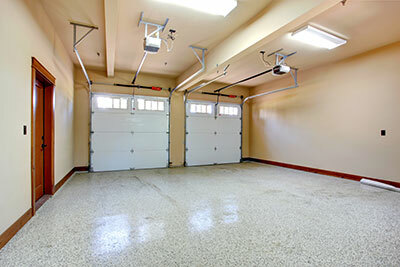 * Among the various parts, garage door springs are the ones that complain the most and can get very loud. 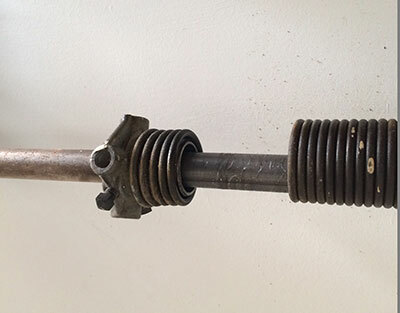 If lubrication seems to be an insufficient method to quiet them down, you should consider the need for garage door torsion springs replacement. * Of course, the most usual noise comes from the chain drive garage door opener, especially if it's getting old or needs to be lubricated. If you lubricate the chain and the opener is still very loud, it would mean that either its life cycle is coming to an end or you have changed requirements and you need to buy a belt drive, which is the most silent solution.